Mums – if your partners have subjected you to any under-the-breath, snide comments about your weight since having children, feel free to send them this post. We’re about to outline the latest research that proves men gain weight after becoming dads. A study that has mums worldwide indulging in the odd wry grin, has revealed that once entering fatherhood, men experience weight gain, and increased body mass index. This weighty research was conducted over two decades, and tracked 10,000 men. Undertaken by Northwester University’s Feinberg School of Medicine, the research also found that men who didn’t become dads over the study period actually lost weight. 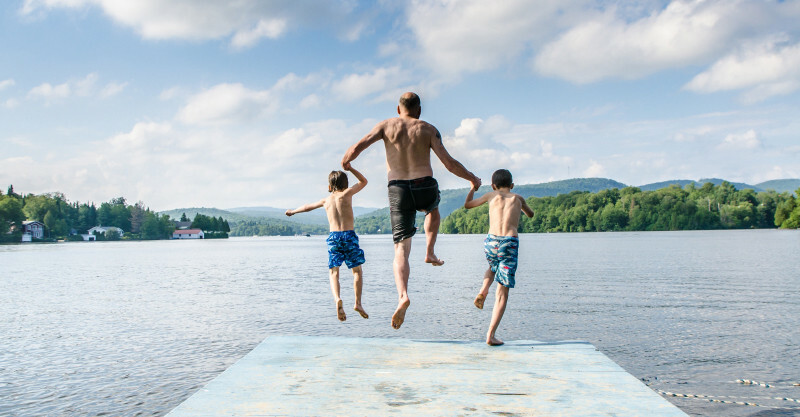 The researchers say the first-of-its kind study has unveiled impacts of fatherhood on the health of young men, above and beyond those previously studied. While it was already known that marriage causes weight gain in men, this study reveals that fatherhood adds to this. And it could be caused by changes in lifestyle and eating habits. It could also be due to eating habits changing once children are in the house, with more ‘junk food’ in the pantry. In previous research, associate professor Garfield had uncovered that new fathers have an increase in depression symptoms in the early years after their child’s birth. “We now realize the transition to fatherhood is an important developmental life stage for men’s health. It’s a magical moment where so many things change in a man’s life. Now the medical field needs to think about how can we help these men of child-rearing age who often don’t come to the doctor’s office for themselves,” he says. We’ve previously featured research conducted by the same university, that found men also get the baby blues. You may also be interested in Australian research that discovered dads are happier when their partners stay home with the kids.